It won’t come as any surprise that survival is the number one goal in the animal kingdom. But to ensure success on a continual basis, many creatures have opted to form alliances rather than go it alone. Nature’s “Perfect Partners” travels around the world to profile an array of such animals who have joined forces. The film will air 8 p.m. Wed., May 11 on WNET/Channel 13. The film documents how other animals build partnerships with their own kind in order to survive. The program shows how members of a herd quickly react when an inexperienced mother unknowingly puts her newborn calf in jeopardy crossing a mud pan and river. 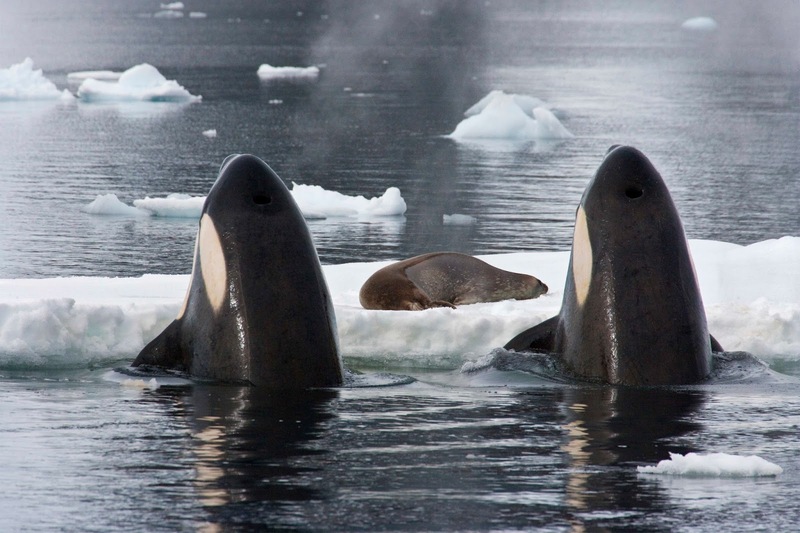 Other segments, documenting the power of collaboration within the same species, feature the strategies of a wolf pack, a pod of killer whales (pictured), a group of silver ants, and a large hyena clan. The program also offers examples of how partnerships between unrelated species work.